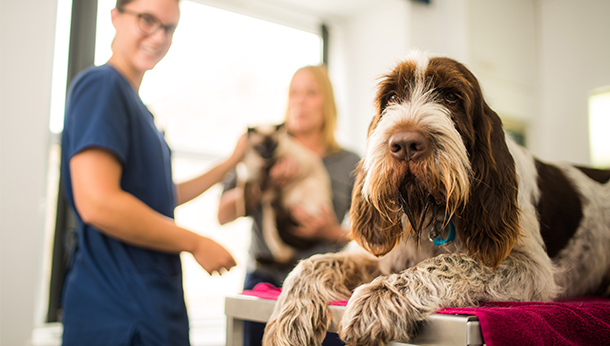 "Excellent service, really friendly reception staff and really friendly and approachable vets. I would highly recommend!" "The staff are very friendly, welcoming, and show genuine concern. The appointments aren't rushed and are very comprehensive. I know my cat is in good hands with any of the vets here." "Really friendly & caring vets. Always return calls if needing vets advice. They have a good knowledge of health & wellbeing for our dogs 🐾🐾 they love it there!" "I have been going to Rowes for 30 odd years and would never go anywhere else. Ian and all the staff in Wotton are fab. Keep it up!" "Always a friendly greeting, animals are treated well and staff actually like animals unlike some practices I have used previously, well recommended."